Very cute! How can you say no to polka dotted sneakers? =) Your pants are such a pretty color, too. Really cute outfit; I love everything about this look! Those polka dot sneakers are so cute! This is one of my favorite looks Beth! I love those polka dot keds. I love the pink jeans. I love the chambray. I love the baubles. I love it all! Perfectly styled and beautiful! Those keds are so adorable! Love them with the bright pink jeans! 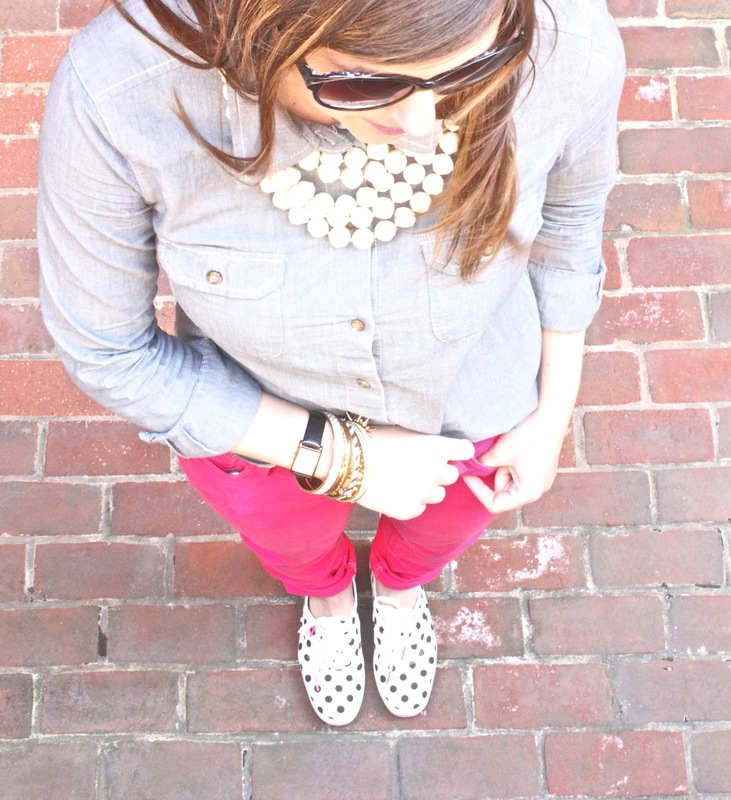 Love the chambray with the hot pink pants!! Super cute. I nominated you for the Liebster Award. Check it out!! CUTE keds! I love the polka dots and they work so well against your hot pink pants. I simply adore this look! Those sneakers are the best ever! And the hot pink, oh I'm a sucker for it with denim and pearls, very pretty!